Completed in 2014 by Eleni Tsigarida and Aiolou Architects this small house is perched on the steep cliff in the upper neighborhood of a village that was built to face due south. It used to be a family home with living quarters upstairs (very basic kitchen and one room for everything else) and animal pen downstairs. This accounts for the house consisting of two independent spaces one above the other. Upstairs is a light airy space with big French doors that were refashioned in the early 20th century whereas downstairs is a darker cooler space with a camara and small openings. 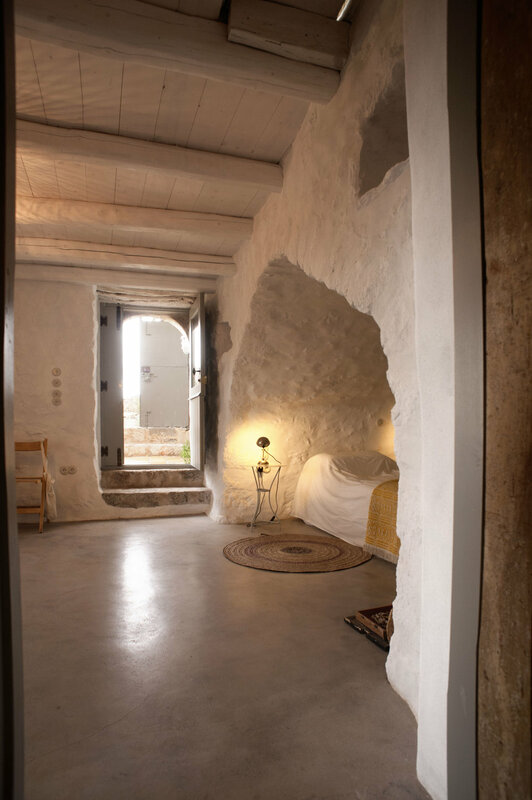 Breaking into the “sterna” – the cistern, built to the side of the house revealed an ideal shower space with a feel of a Turkish bath, light pouring through the well hole. The layout and interiors were all treated to refer back to the original house as much as possible. 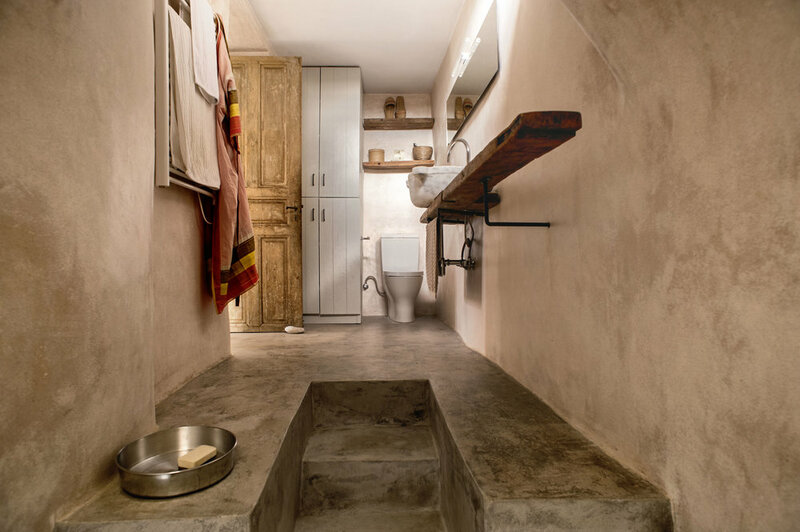 The reclaimed timber floor and the waxed concrete finish to the built kitchen, together with the plaster on the walls that follows the stonework and the inside of the roof that is the original timber, make the spaces feel hand crafted. The original French windows with their handmade fittings were recycled into wardrobe doors with mirrors replacing the glazing.